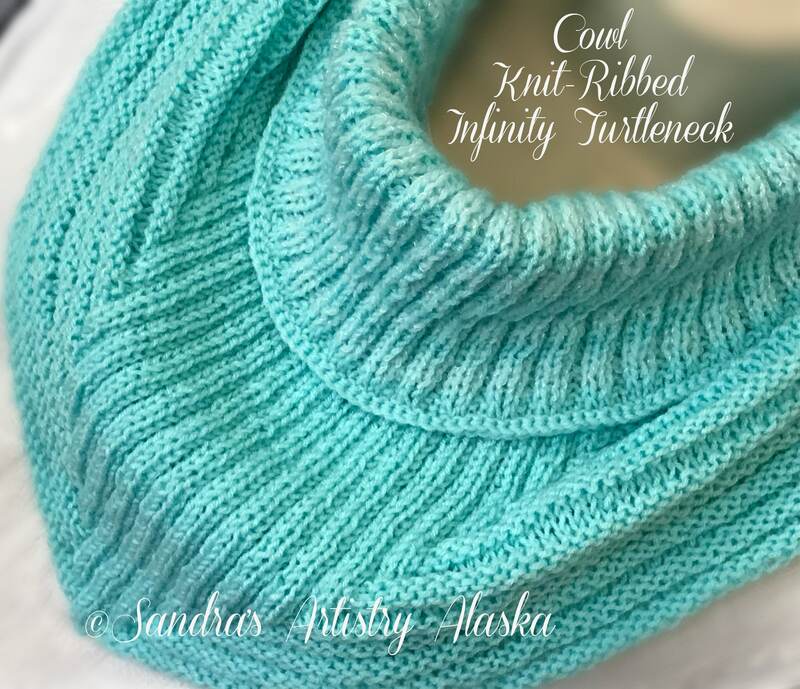 A Cowl Knit-Ribbed infinity Turtleneck in an Ice Blue. 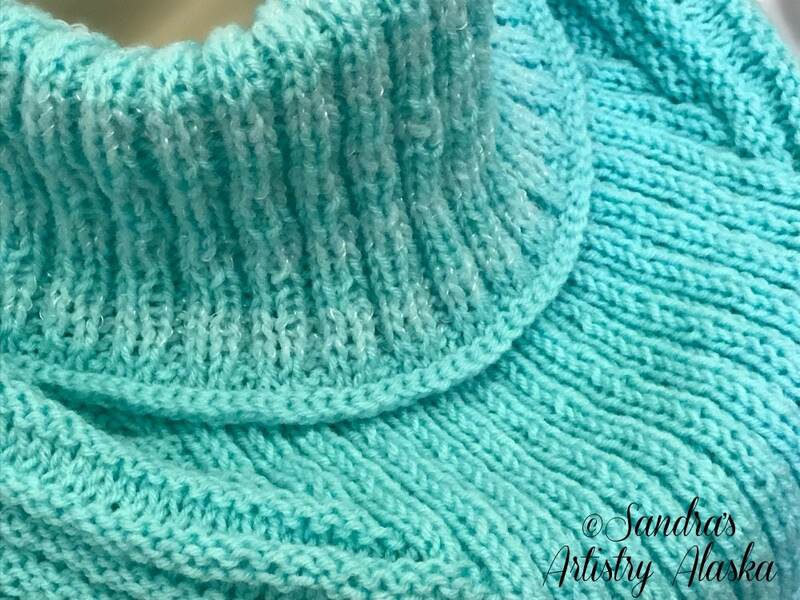 The folded turtleneck collar is ribbed vertically and horizonarly. 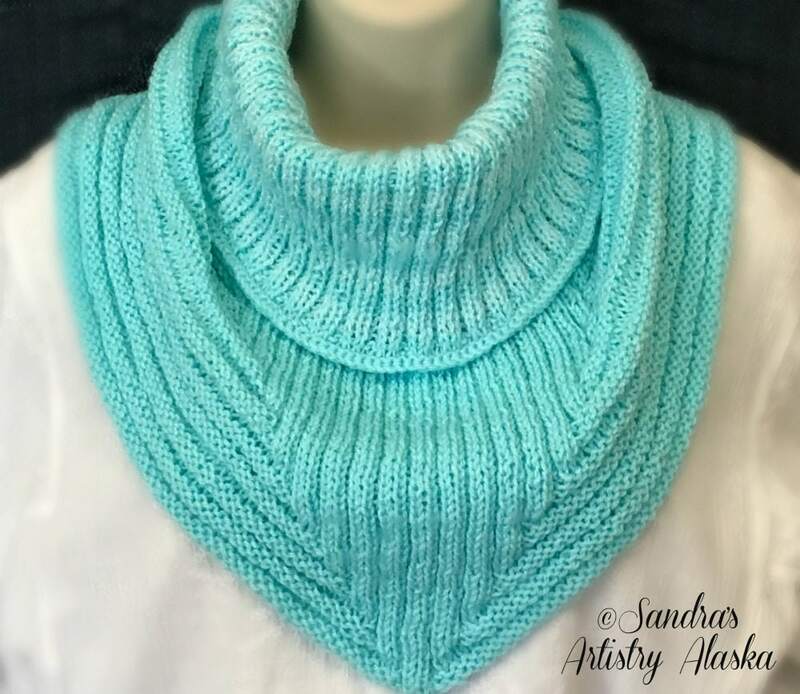 The fit (as shown in the photographs) is a comfortable cowl-type, loose-fitting folded collar and the bib portion is solely in the main color and has an approximate 12" drape. This allows for the cowl to fit under any coat/jacket with ease. 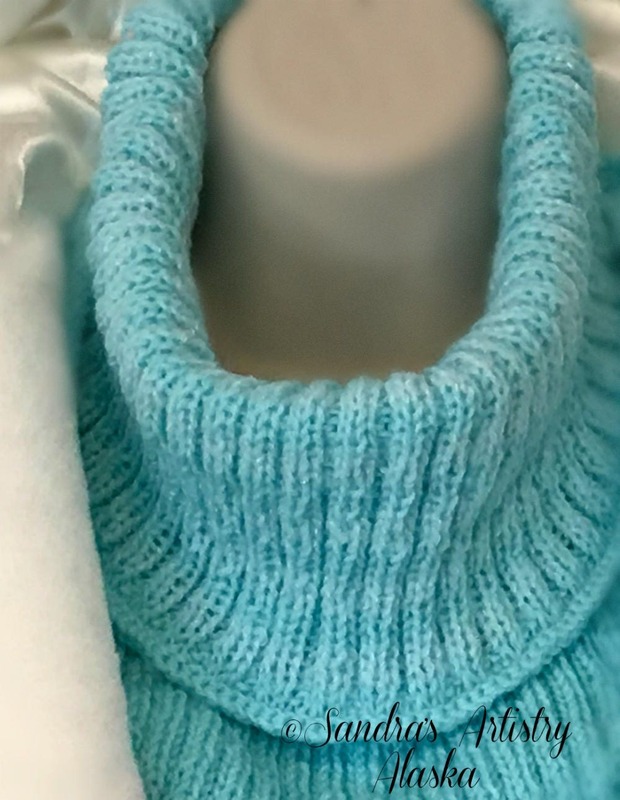 A yarn in this ice blue is made of acrylic (non-wool).